Now that’s a pretentious-sounding category. 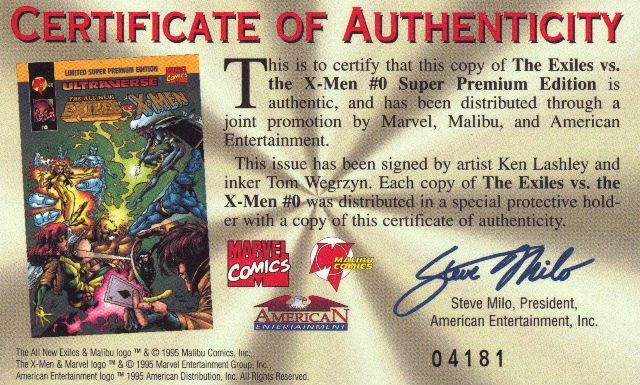 And they had a price to match; IIRC these were sold for $40 each (you could also buy a simpler Limited Premium Edition without the signatures and with a different cover for $10). Each book paired an Ultraverse franchise with their Marvel counterparts: Exiles and X-Men, Prime and Hulk, Nightman and Wolverine. The stories were … well, never mind. 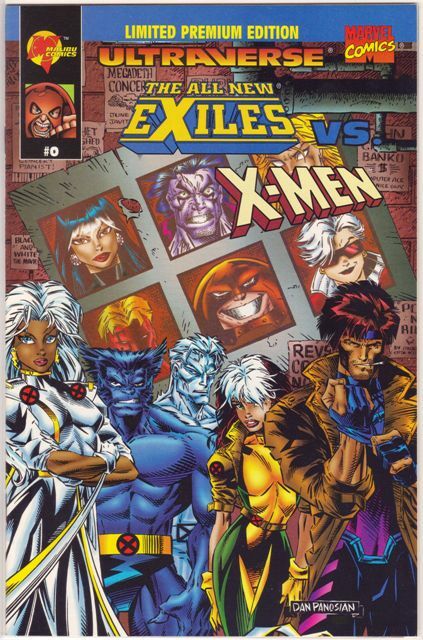 The art is straight out of those mid-1990s stylebooks. It’s hard to believe they sold many of these at those prices. Now you can get them cheap, of course. I pay a buck or two when I can. 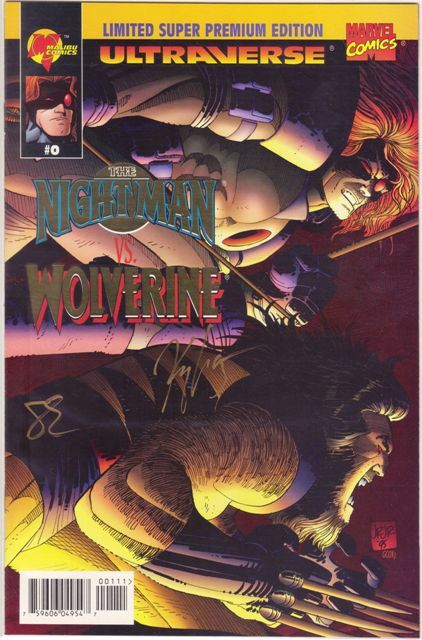 I bought a short stack of the Nightman and Wolverine signed books once for $1.50 each. I see these all the time on eBay for $30-40 BINs, sometimes even over $100. Good luck with that. The signed versions look pretty nice. 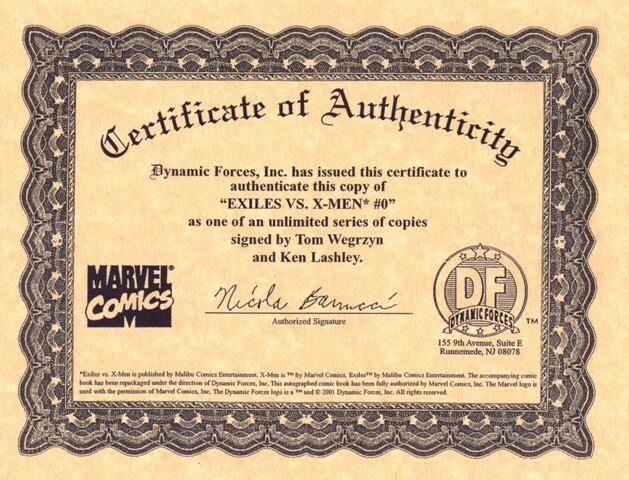 There are two different versions of each, although the only difference is the certificate of authenticity. One was done by Dynamic Forces, the other by American Entertainment. As far as I can tell, the signatures are the same for each version. Here are the three Limited Premium Editions. These did not come with COAs or signatures. 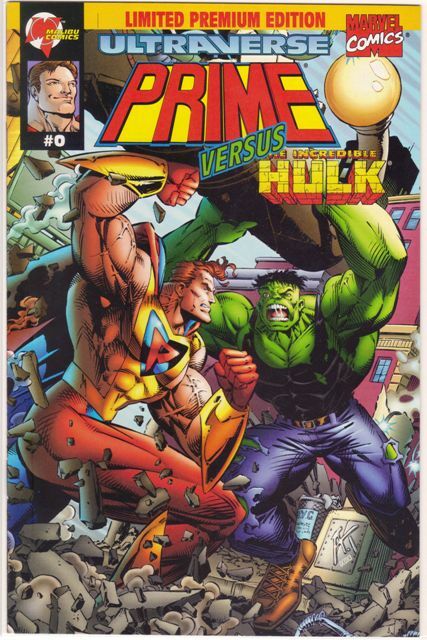 I really can’t imagine paying $15 for a single comic book, but those were some free-wheeling days. Still, I would not be surprised if there were several large boxes of these stashed in a warehouse somewhere. These are pretty cheap now; last time I checked on eBay somebody was selling these in bundles of 25 (and he had several of these for sale) for less than $15 shipped. Maybe he’s the dude with the warehouse. Once when I was looking around eBay I noticed an auction for one of the Limited Super Premium Edition Prime and Hulk books. 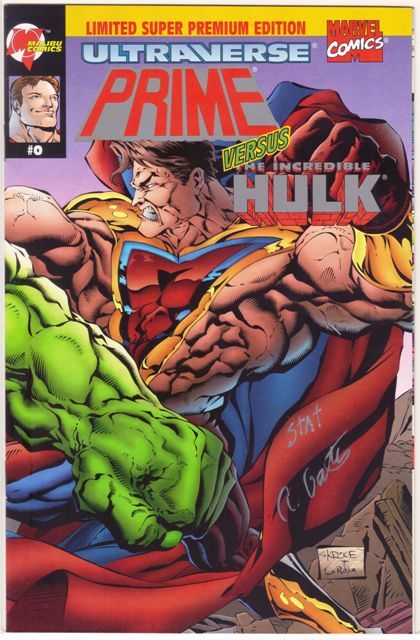 But it didn’t say anything about it being signed, and from the picture I could not tell if there were any signatures. What the heck, I spent a few bucks to see what it was. When I got the book, sure enough it was the version that was supposed to have signatures but the cover was not signed. There was no COA either. This seems like more of a mistake than something that ought to be on the checklist, but I still think it’s pretty cool. 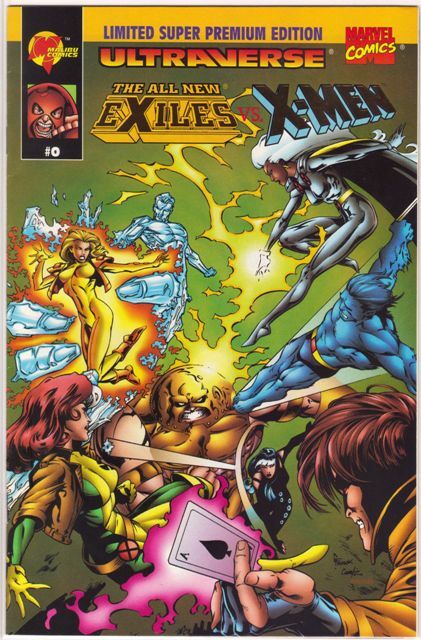 Then a few months later I got a similar LSPE Exiles and X-Men with no signatures. 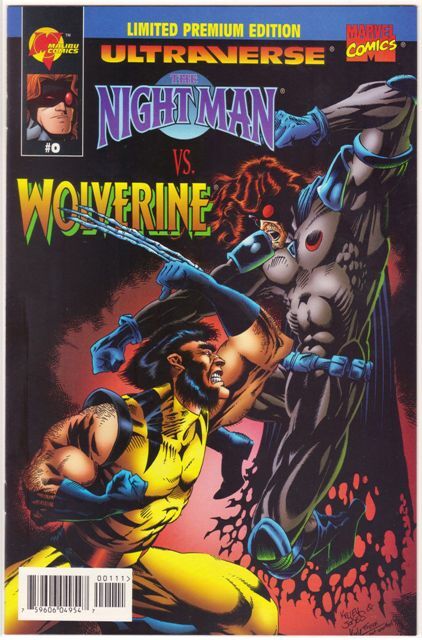 I have yet to find the Nightman and Wolverine version, but I’m sure it’s out there.